Well, at least there some plant material to soften to boulder work! This story is everywhere, and I mean everywhere. Crazy acupuncturist builds a mountain villa on his apartment complex and he neglects to tell anyone about it. It’s like something you’d see in a Bond movie. Crazy mad-man villain sitting atop his stronghold in a fortified mountain villa, all the while drinking a ’56 Dom Perignon stroking his pussycat with a maniacal grin on his face. I mean look at it, I see it, do you? I am still looking hard for the anti-aircraft batteries and the radar array. They must be cleverly disguised as rocks or boulders. I mean how devious can one rich acupuncturist be? What in the hell is this guy thinking? I mean it’s one thing to build something really cool, and have a landscape value to it, but stacking hundred’s of tons of boulders on a building, that’s another thing entirely. Boulders, how could I, me of all people not like boulders? I do, I really do. I am a boulder guy after all but maybe he has stepped over the ledge(so to speak) on this one. My love for boulders and stone is what caught my eye about this story and it seems a natural fit for the blog. Doesn’t it? So, we must report. Those hundreds of tons of boulders are stacked on a 26 story apartment building! C’mon! There are structural rules, there are laws of nature at work, there’s engineering to be considered. He didn’t care. The good professor thumbed his nose at everyone. Read the stories below, uh, engineering, maybe not. I can’t wait to see what comes from this development. How will the local government resolve the situation. They gave him a deadline, but it’s China, rumor has it that you can grease a wheel or two, that means bribe an official, so we’ll see. *Below is the complete story from the South China Morning Post. Seems like to go-to place for a story like this. I am finding pictures all over the internet, they’re everywhere, hell the story is everywhere but the nightly network news. After all it’s not all that often a evil villain acupuncturist puts a mountain villa on top of a 26 story apartment complex. It’s news! But not the only strange architectural news, or developmental news to come out of China lately. I plan on posting a few more of those stories, and there is some interesting landscape design/installation that goes along with that development. But not today. Today is the day for the maniacal Bond Villain. Time to call “M”. When it comes to illegal structures, a rooftop villa built by an eccentric Beijing resident on top of a 26-storey residential building puts Henry Tang’s wine cellar to shame. Beijing’s chengguan, or urban management, officials on Monday issued an ultimatum to a former government advisor, demanding he tear down the sprawling structure that he had built over the last six years on top of his top-floor flat. The rooftop house features elaborate fake rocks, real trees and grass, and covers the entire top of the building. Parts of the structure look as if they could spill over the edge of the roof at any time. The bizarre two-storey structure, located in a high-end residential compound called Park View in Beijing’s Haidian district, an area of government institutions and universities, has bothered the building’s residents for years. Local newspapers have identified the owner as Zhang Biqing, a doctor of traditional Chinese medicine and former member of a district People’s Political Consultative Conference who owns a national chain of acupunture clinics. Disturbed by constant noise from heavy construction machinery working on the roof, water leaks and worried about structural damage to the whole building, neighbours have complained repeatedly to the building management company, local urban management officials and even the police. The new ultimatum, published Monday evening on many local news sites, urges the owner to dismantle the structure himself within 15 days. Failure to comply would result in forcible demolition, it says. When confronted earlier by reporters from local newspaper Beijing Morning News, Zhang, who sometimes identified himself as a professor, had said, “Since I dare to live here, I am not worried about complaints. “Famous people come to my place and sing. How can you stop them?” the newspaper quoted him as saying about the noise at night. Some neighbours who had complained over the years suffered harrassment and threats from the owner, Zhang Biqing, local newspapers have reported. 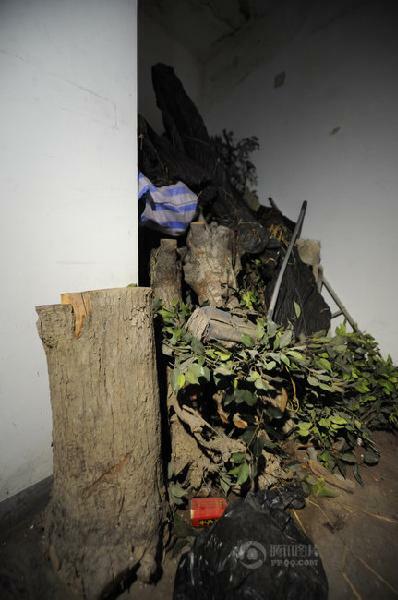 One 77-year-old man was beaten up several times by Zhang and eventually forced to move, it was reported. Police didn’t seem to have intervened. The community’s property management office declined to comment and phone calls to the Haidian district urban management office went unanswered on Monday. The “rooftop garden villa” might not be the only illegal construction in this community, Chinese netizens have found out. A property agent posted photos of another apparently illegal rooftop house online in late 2011, featuring a blueprint of a three-storey structure with more than a dozen rooms and a bird’s eye view of a nearby lake. The structure, which the agent also called a “rooftop garden villa”, had a total indoor area of more than 590 square metres and an asking price of 15 million yuan (HK$19 million). When contacted by phone by thePost on Monday, Sun Jianchao, a Beijing real estate agent who posted the pictures, denied the structure in the pictures was the same one in the news this week, but declined to give more details. Some Chinese netizens mocked the rooftop house. “Even the Hanging Gardens of Babylon are overshadowed by this hanging villa in Beijing,” said one Weibo user. Others were angry at the owner with one internet user saying, “How can this guy be a professor? He gained his happiness by torturing others.” Many also expressed anger at the failure of chengguan officials, known for their thuggish, often brutal behaviour throughout the country while dealing with unlicensed street vendors, in enforcing the law on the rich and powerful. 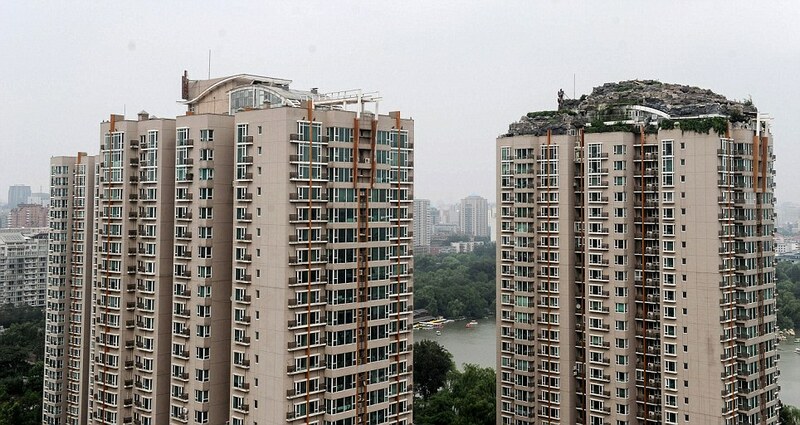 Almost all add-on structures or alterations to residential buildings are illegal in China. However, this hasn’t stopped thousands of owners of top-floor or ground-floor properties from adding rooms, and even floors, to their homes, or encroaching into public space by putting up additional walls or fences. This above story from the South China Morning Post seems to be the go to article on the subject. More information on the famous doctor and his relationship with his neighbors, and all others involved in this crazy story in this article. The good professor sure doesn’t seem to care about who are what his mountain villa affects. Nice guy, huh? If you’re looking for more just Google China, mountain, villa, apartment, rooftop garden, or some other combination of those and you’ll find a lot of stories about the good professor. This is where I first wandered across the story about the evil professor. via Professor Builds Illegal Mountain Villa Atop 26-Story Building in Beijing | Bored Panda. One Chinese man – Zhang Biqing(Professor Zhang Lin) – let nothing stop him from building his idyllic mountain retreat, not even government safety regulations or the concerns of his neighbors. 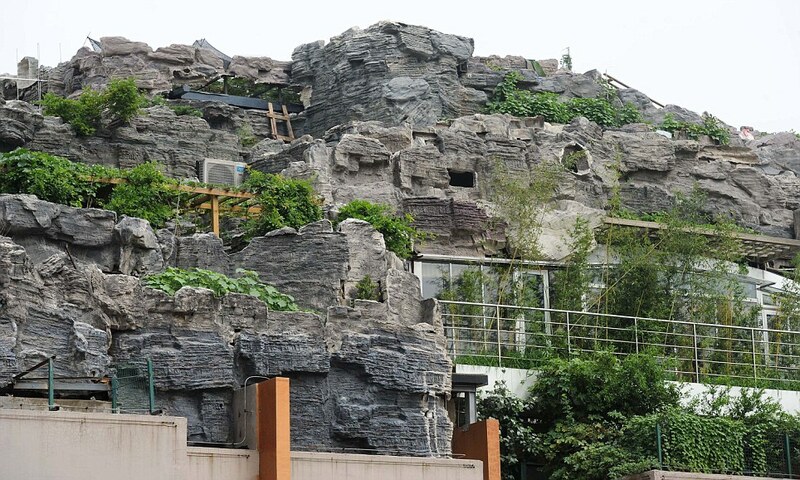 Biqing, a successful practitioner of traditional Chinese medicine, spent six years piling rocks and plants into and around his penthouse on the 1000-square-meter roof of a 26-story apartment building in Beijing. Here’s a slightly different take from HUGChina.com where the reporter seems sure that the villa will come down. At lest that’s what I get from the article. 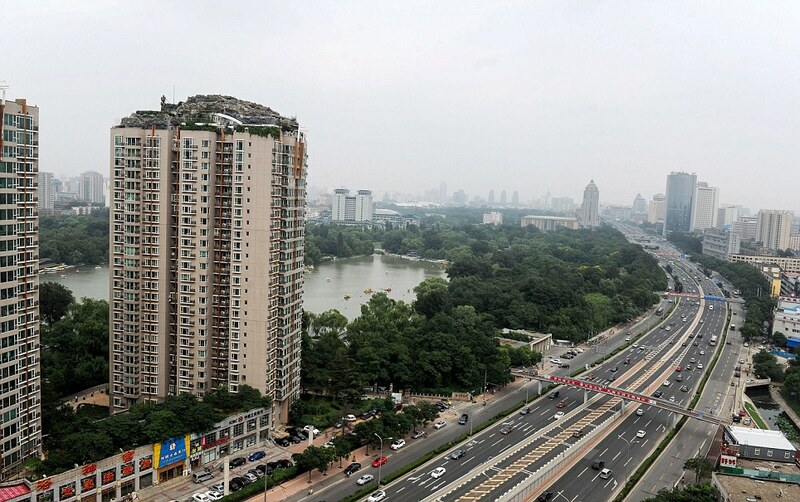 Chinese netizens have given the envious crown the most awesome villas of China to four houses built on roof of a shopping center in Zhuzhou city of Hunan in August 2012. But when more such rooftop houses/villas are disclosed on internet, it appears there are no most awesome, but only more awesome villas of China. At moment, I suppose no one will oppose when we award the most awesome villa of China to the one built by a Beijing professor on a 26-storey apartment building. 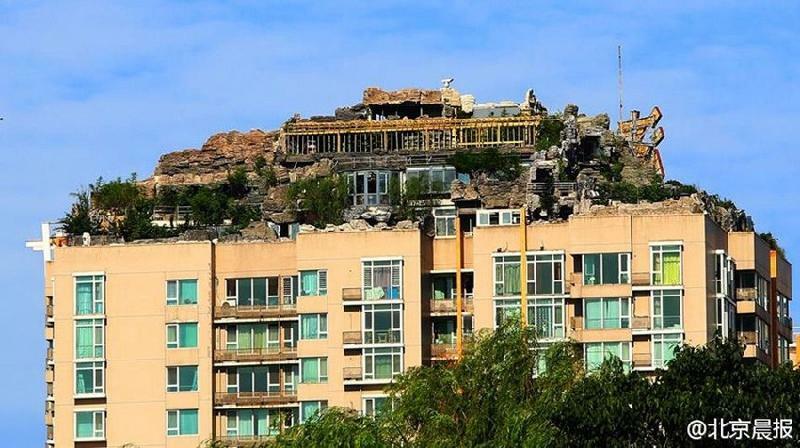 According to the Beijing Morning Post and Shanghaiist, a Professor Zhang bought the penthouse of Building B of Renji Mountain Residential Complex in downtown Beijing and took six years to build this 2-storey villa with rock garden and trees after clearing the over 1,000 square metre area. Residents near this 26 storey apartment building thought the rocks and trees appearing on top of Building B were part of an attraction that had been built by the developer. But this villa will have definitely dimmer future than those rooftop houses built in Hunan. While the rooftop houses in Zhuzhou are regarded as legal and will remain, the sky houses in Hengyang are ruled illegal but allowed to remain as long as they are not sold, this so far the most awesome villa in Beijing are ruled completely illegal and should be demolished. Inspectors from the Beijing Chengguan (urban management officiers) had come to examine the building and interview tenants last month. 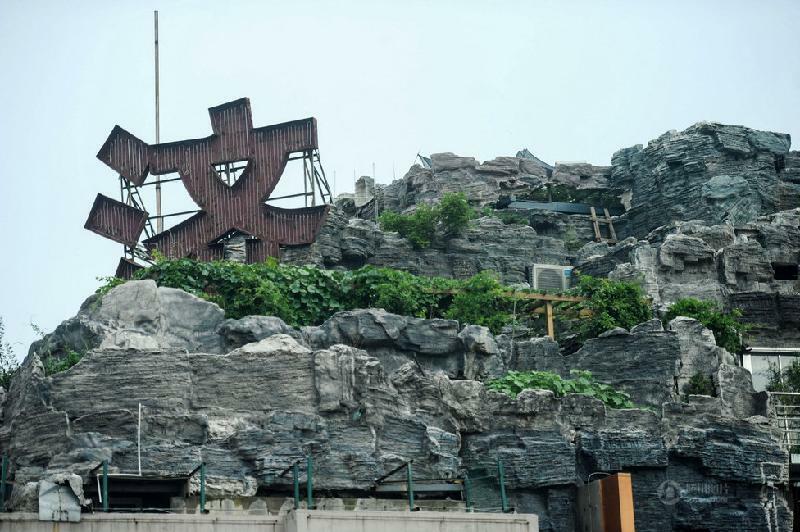 “This is definitely an illegal construction, we have not taken action on it because we could not find the property owner,” one official told the Beijing Morning Post. But ironically, the demolition of it has to go through examination and approval procedures before it goes ahead, the exact formalities that the professor avoided during construction. The irony exists only because the toughest officers of China were not serious in flexing their muscle. A day after the so far Most Awesome Villa of China becomes domestic and international headline, thinking they could not be lenient any more, Beijing Chengguan Bureau rushed to Renji Mountain Residential Complex and put up a notice requiring Professor Zhang to demolish the villa within 15 days. 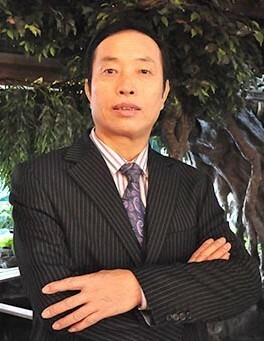 Professor Zhang, who is disclosed to be actually a Traditional Chinese Medicine practitioner with the full name Zhang Biqing, received interview from Law Evening News and said he would not bargain with the Beijing Chengguan as he did with other government authorities over the fate of his rooftop villas. You may doubt if Zhang will keep his words, but never doubt the capability of Chinese powerful Chengguan officers. And we will sure be able to give Zhang’s villa another title: the most short-lived villa of China. 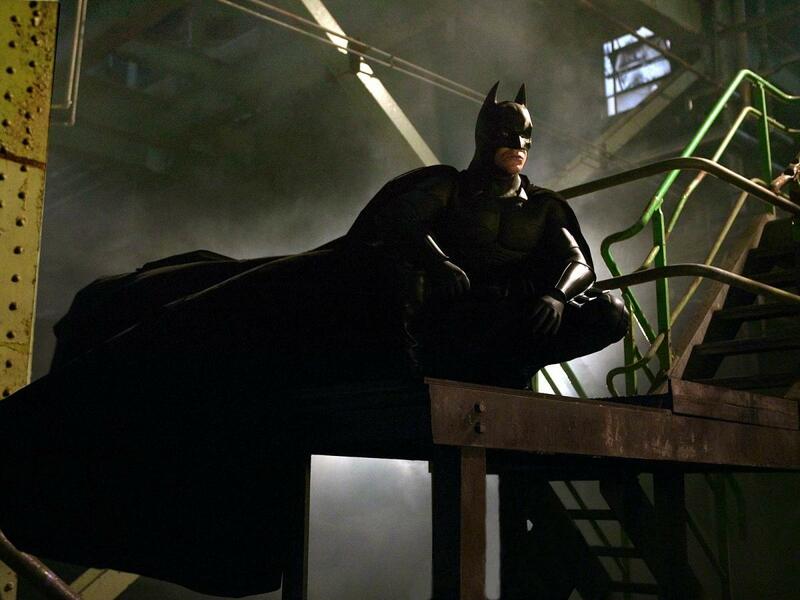 Or maybe this is a job for Batman. CNN spoke to a number of people on the street who sympathized with Zhang’s neighbors and suggested the professor was allowed to build with impunity because of his links to influential officials.